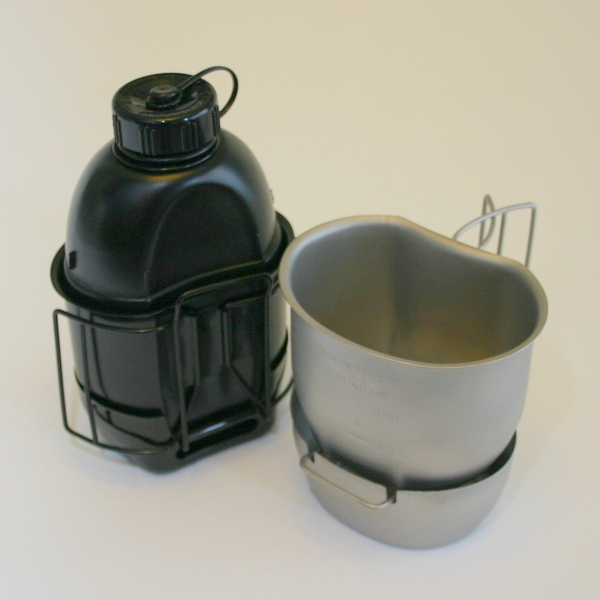 The Crusader stove is the perfect partner to the Crusader mug and holds that item at the correct height above the burning fuel. 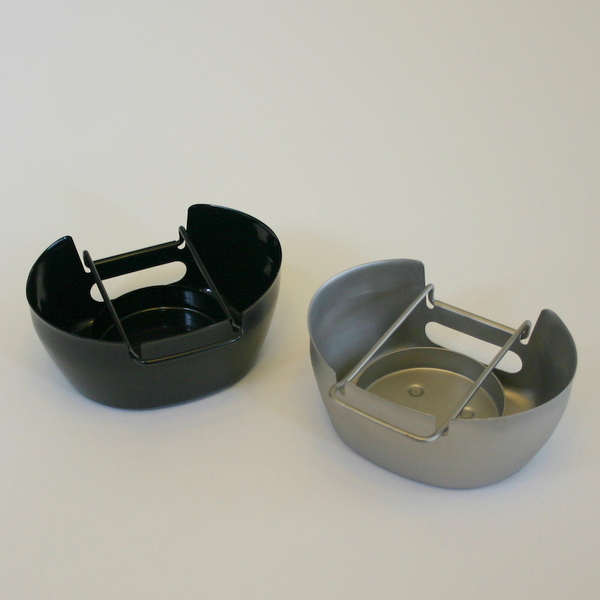 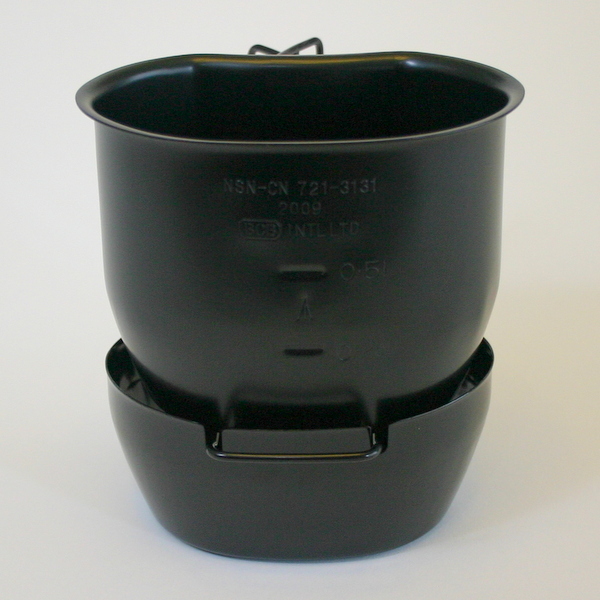 A circular tray keeps the fuel; solid, liquid or jel directly under the mug to speed the heating process and reduce loss / wastage. When not in use, the mug support arm can be stowed in an upright position against the Crudader mug allowing it to nest inside the stove to save space. These stoves have a black PTFE coating for easy cleaning.